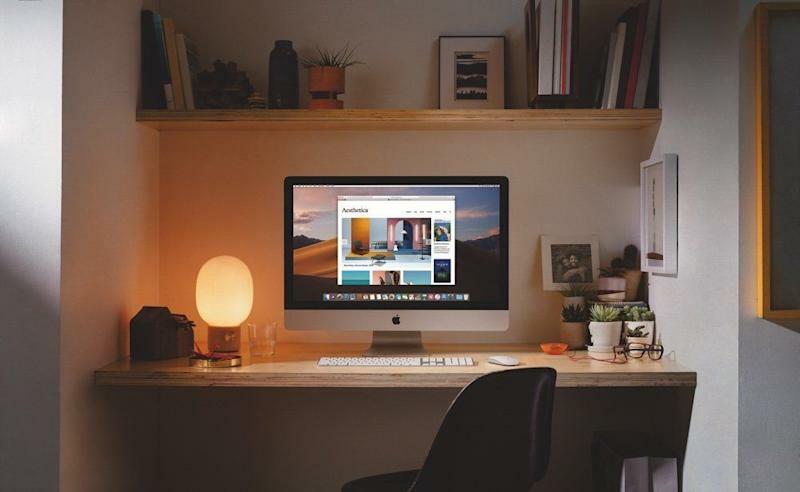 Apple ( AAPL ) is giving its iMac line of desktop computers a serious power boost. The company on Tuesday announced that it's bringing high-powered, 8th-generation and 9th-generation Intel ( INTC ) processors to the all-in-ones, marking the first major updates for the systems since 2017. On the graphics side of things, the 21.5-inch iMac will now feature AMD's ( AMD ) Radeon Pro Vega graphics chips. Apple says that will send graphics performance soaring by 80%. Apple's Mac line of desktops and laptops make up a small percentage of the company's total sales. In Apple's most recent quarter , Mac sales accounted for $7.4 billion of the tech giant's $84.3 billion in total revenue. The iPhone, meanwhile, made up $51.9 billion. Still, Apple recognizes that its Mac lineup has a fiercely loyal user base.